Get sacred, New York. 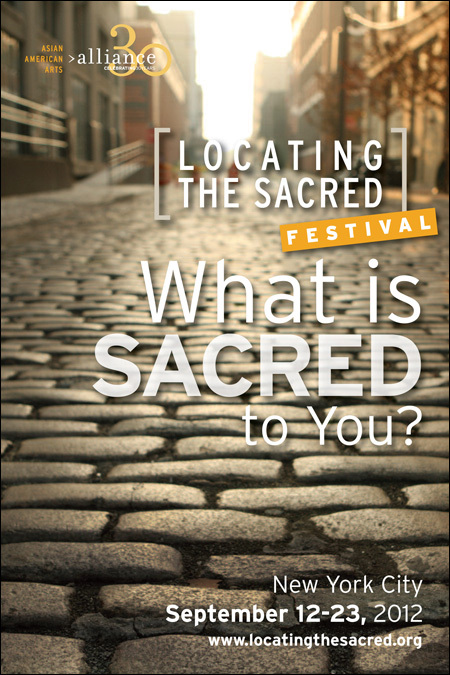 From September 12-23, catch the Locating the Sacred Festival, taking place in all five boroughs. Presented by Asian American Arts Alliance, it's a collaboration of artists from all across the city, exploring the meaning of the word "sacred" and its relevance in their communities. Events include a 9/11-inspired spoken word theater performance by Kelly Zen Yie-Tsai, a sundown concert with Dana Leong, and much, much more. From an inflatable Buddha on the East River to a flash mob in Washington Square Park, the Asian American Arts Alliance's Locating the Sacred Festival promises all New Yorkers a chance to glimpse the sublime and the sacred in everyday life. In the wake of the shootings at a Sikh temple in Wisconsin and as the eleventh anniversary of 9/11 approaches, New Yorkers are reminded that opportunities for greater cultural understanding are never more important. The 25-event, 12-day festival—which takes place in all five New York boroughs from 12 September to 23 September 2012—is a vibrant collaboration between artists of all disciplines with spaces all across the city, exploring together the meaning of the word "sacred" and its relevance in their communities. The festival is coordinated by the Asian American Arts Alliance, a non-profit organization that for 30 years has supported individual artists and small arts groups in New York. For the full schedule of events and performances, visit the official website.